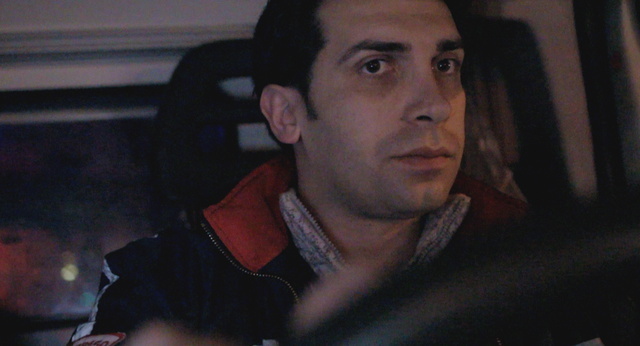 Shot primarily using three dashboard mounted cameras, Ilian Metev’s award winning documentary Sofia’s Last Ambulance captures the unaffected focus and inherent compassion of two medics and their driver, as they navigate gruelling shifts providing service to a turbulent society. Bulgaria’s capital city, Sofia is the setting for this beguiling film where a population of over one million is served by only thirteen ambulances. 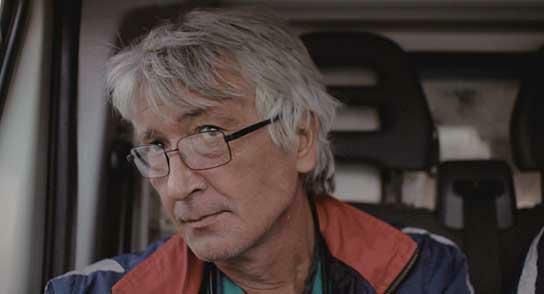 Dr Krassi Yordanov, Nurse Mila Mikhailova and driver Plamen Slavkov are each framed head on, creating a portrait of their gaze through the ambulance windshield, where Metev’s camera captures the anxiety and determination of the team in attempting to maintain communication with the base, and patience in traversing the pot-hole riddled roads on the way to their next emergency. Between patients, shots are held long enough to capture moments of interior thought expressed aloud, such as Krassi’s absent-minded assertion of his preference for gardening during his day off. Such an approach gives primacy to the team’s humanity, providing an insight into how Krassi, Mila and Plamen see the world and going some way to explain how they manage to operate under such difficult circumstances. Sofia’s Last Ambulance was filmed over three years, which allowed Metev and the small crew a large catalogue of footage from which to edit. It’s testament to the fluidity and coherence of the editing by Metev and Betina Ip that they managed to wrangle hundreds of hours down to a trim 77 minutes. It’s also apparent in imagining what footage wasn’t used, how in tune with his protagonists Metev is – their frustration at the failing support infrastructure, which appears to leave them adrift from reasonable communication for long periods of time, their anger at the inconsideration of other drivers on the road, and their calm handling of patients that are understandably apprehensive of the broken health care system. Out of a moral instinct to protect the anonymity of the patients the team attend to, Metev keeps them out of frame, focusing instead solely on Plamen, Krassi and Mila, which allows an engagement with their perspective and their reactions, perhaps much deeper than if the patient’s presence was more heavily featured. Which is not to say the patients are absent, rather they are simply heard but not seen, Tom Kirk’s sound work picking up the essential heightened emotions and nuances of muted verbal exchanges to create a highly effective aural atmosphere. Metev also forgoes direct interviews with the team, instead allowing their feelings and opinions about their work to be revealed in their actions. Krassi doesn’t hold back his frustration when remonstrating his colleagues at the switchboard for keeping them in the dark for thirty minutes with no information, and in a quieter moment, we learn something of the way Mila perceives herself and others as she is seen watching a woman in the street, imagining another life – a life perhaps very different to her own. This way of observing is strikingly effective, as despite the mounted cameras being presumably hard to miss, the team appear unaware of being filmed – something that Metev has attributed in interview to their work simply demanding all their attention. Amongst scenes of Mila attempting to calm wounded patients in the back of the ambulance, as it drills along pot-holed roads, humour emerges as the common factor both in the way we observe Krassi, Mila and Plamen relate to each other, and eventually in the warmth of feeling Metev creates around them, through the repetition of certain behavioural traits. Almost constant chatter about the next cup of coffee, and the incongruity of seeing three health care professionals chain smoking between calls, presents a vision of three friends supporting each other, bringing a humility to their extraordinary working conditions that is overwhelmingly poignant. Also included in Second Run DVD’s release of Sofia’s Last Ambulance, is Metev’s 2008 short film, Goleshovo, an incredible portrait of the titular Bulgarian town, whose elderly population totals less than sixty, and each of the inhabitants face a daily struggle for survival. Again, by unobtrusively observing the town’s people, Metev demonstrates an acute sensitivity towards their subtlety of expression, slowly developing a bond with his protagonists that is eventually deeply moving.